Providing you the best range of cement bags with effective & timely delivery. Our block bottom paper bags can be used for packing cement, minerals free flowing material and cattle feed. These bags come with or without PE lining. We offer more options than any other manufacturers. 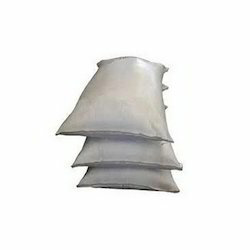 Our clients can use these bags for packaging cements and we have the bag to meet your packaging needs. We offer a marvelous variety of styles, papers, handles and coatings, and our bags come in a wide range of sizes - from small bags to 11” bottom sacks. For all inclusive look, we offer stylish norm print options including six-color printing, offset printing, hot stamping, gravure and other additional options such as tissue inserts, hang tags and bag labels. With the wide array of options that we offer, our clients can build the perfect shopping bag, one that does more than bear the clients product range but it actually advertises them. In addition to this, with so many modern locations, we can deliver shopping bags to our clients. Looking for Cement Bags ?